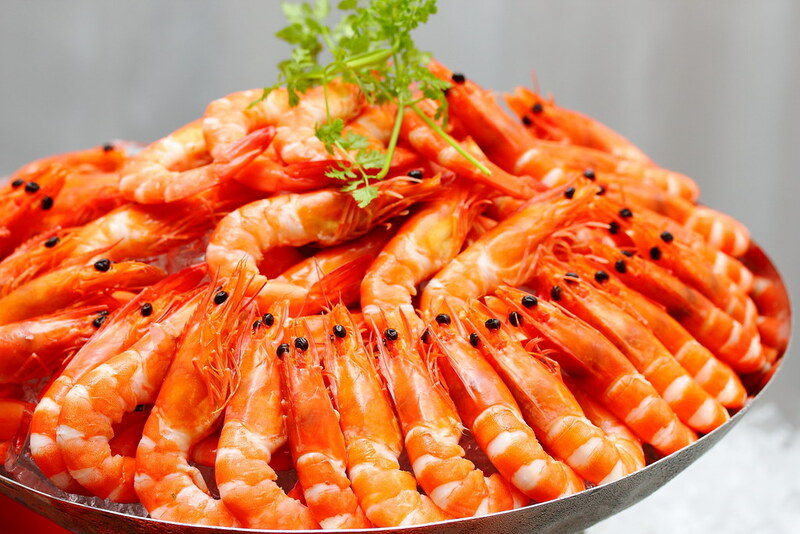 Goodwood Park Singapore spreads the Christmas cheer with a sumptuous feast held at their new Tudor Courtyard, an air-conditioned tentage area that is perfect for holding functions as well as for wedding. 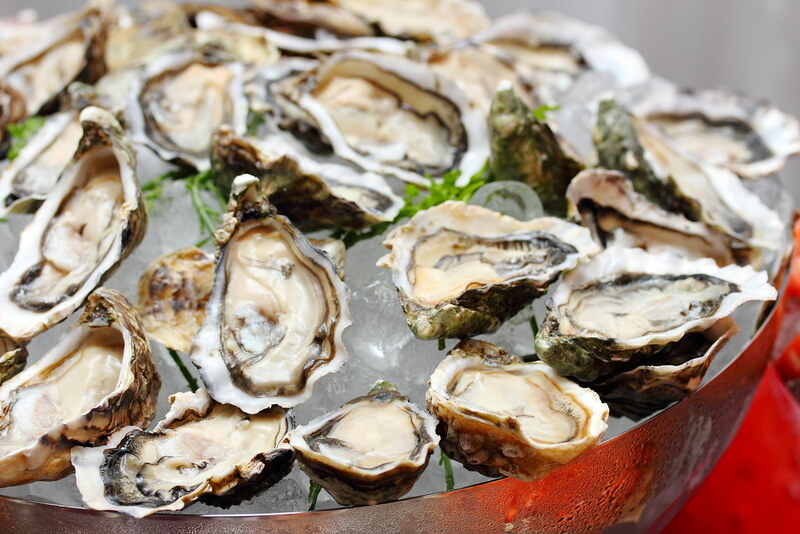 The Christmas feast at Goodwood Park Hotel started with a sumptuous selection of seafood on ice. 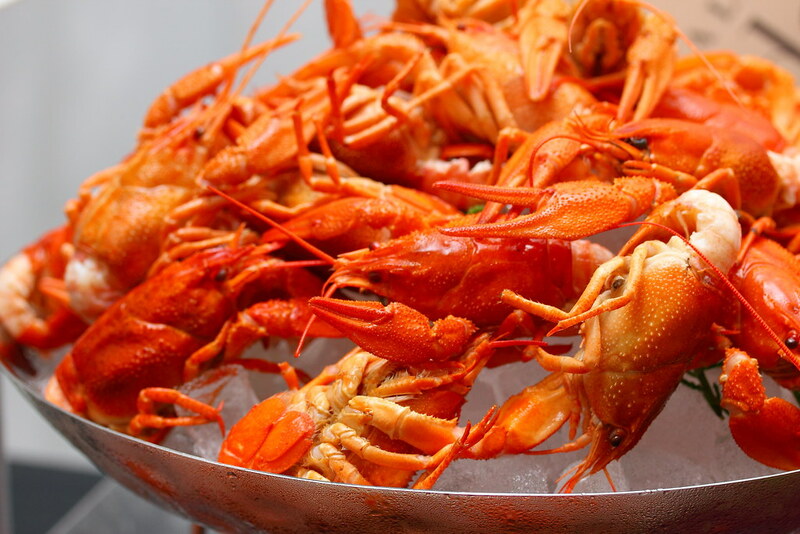 There were freshly shucked oysters, Chardonnay-poached Tiger Prawns & Crayfish with condiments. 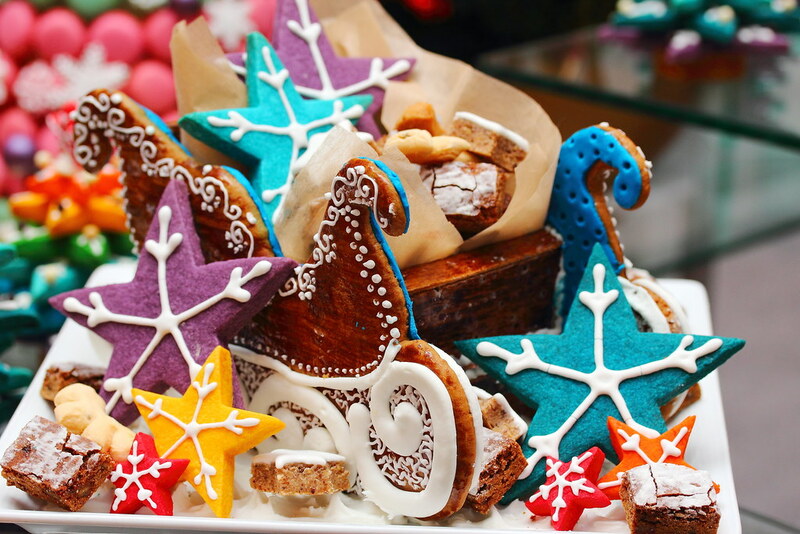 These will also be available in Christmas Day Brunch Buffet at L'Espresso & Gordon Grill. 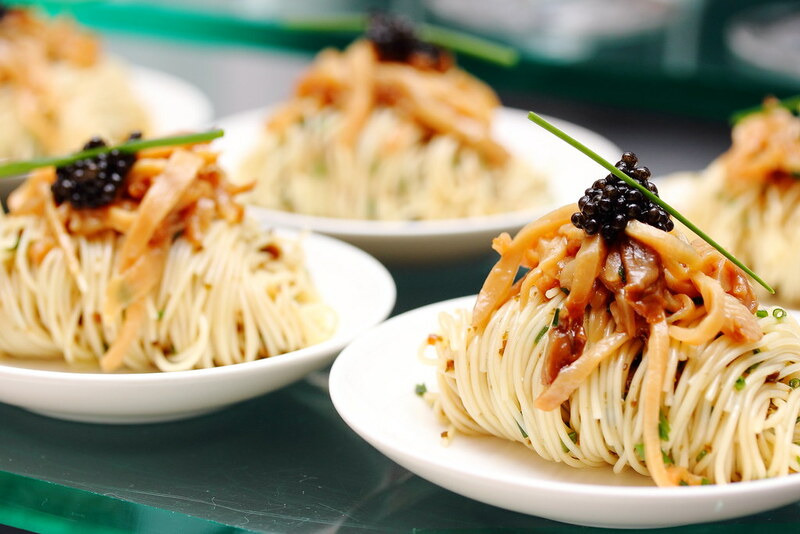 The Cold Capellini Pasta with green lip abalone, farm caviar and white truffle vinaigrette was so good that I noticed many went back for more helpings, including myself. This is available in Festive Set Dinner at Gordon Grill. 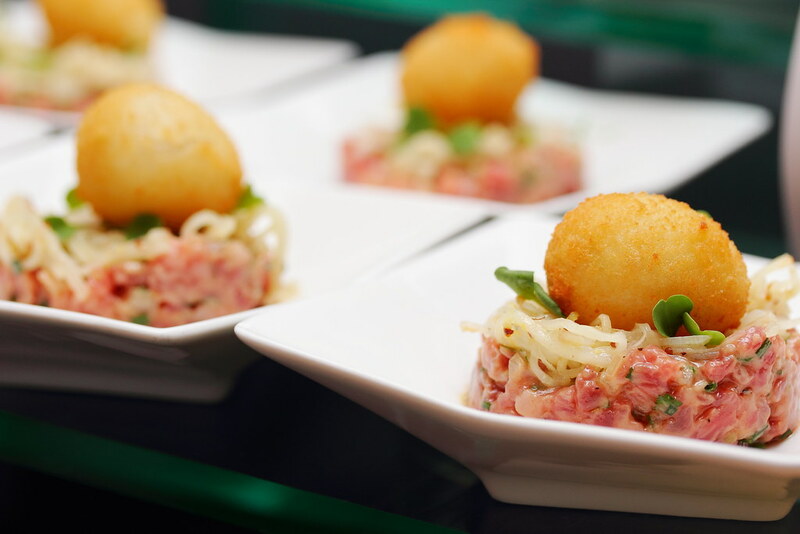 Another delightful appetisers on the festive spread is the Wagyu Beef Tartar with celeriac remoulade, quail egg and melba toast. Moving on to the mains, a must try is the Black Pepper coated Roast Prime Rib of Australian Beef with thyme-Merlot sauce ($348 for takeway from the Deli). 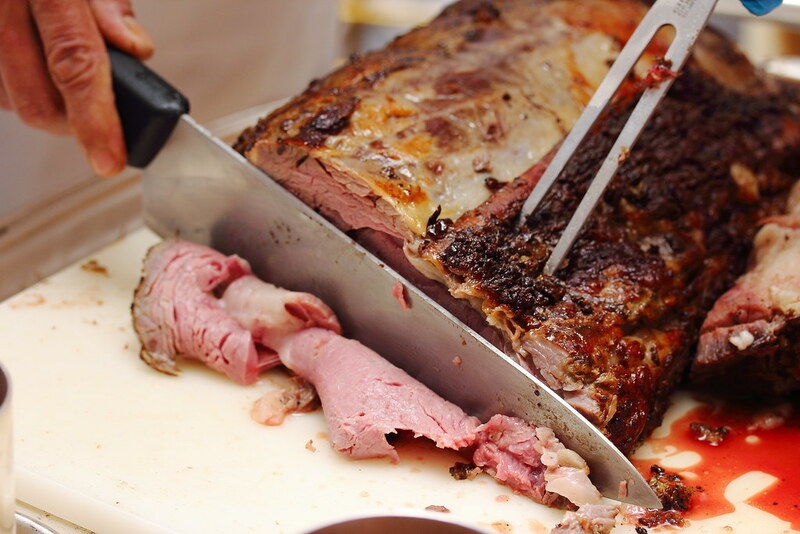 The prime rib is perfectly roasted to a beautiful pink packed with a full flavour. A must try is the Slow Roasted Iberico Pork Belly with Crackling, Pickled Cabbage, Apple Sauce & Pork Jus ($320 for takeaway from the Deli). 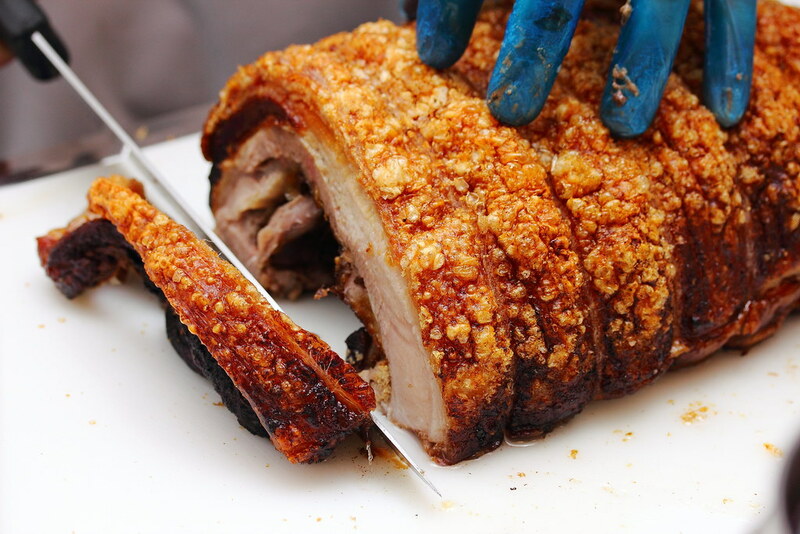 The Iberico pork belly is roasted to a a nice crackling on the skin while retaining that juiciness in the meat. 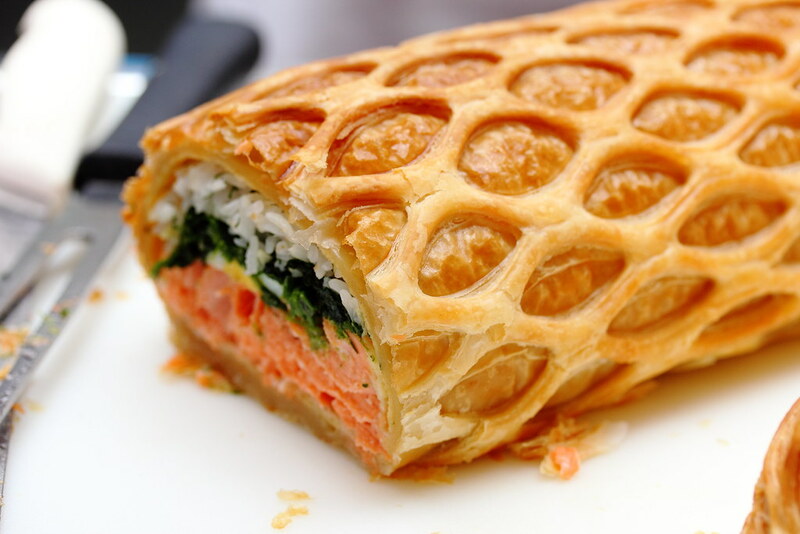 If you are not into meat, Baked Salmon 'En Croute' with Spinach & Lemon Caper Beurre Blanc will delight you with the its unique combination and layers of textures. It felt like have sushi wrapped around in a baked pastry. This is available in New Year's Eve Dinner Buffet at L'Espresso. A must have for Christmas is the turkey. 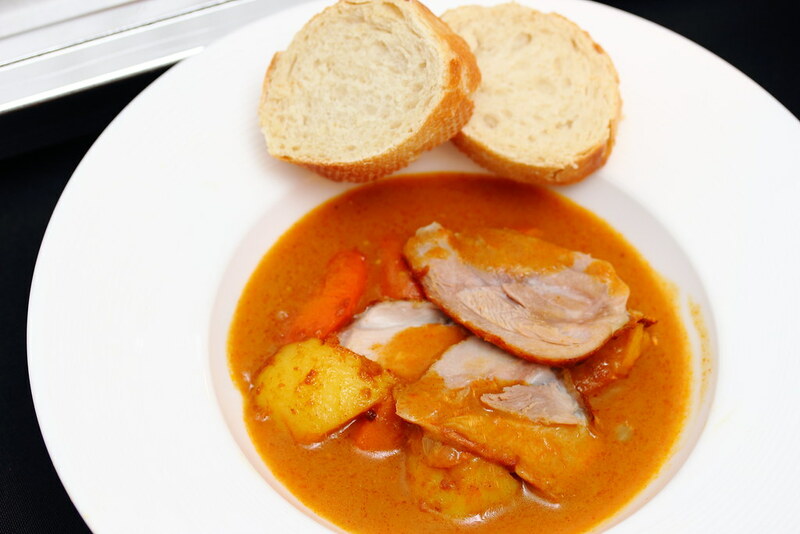 The culinary team unveils the Goodwood Portuguese style Curry Turkey with Potatoes, Carrots & Onions Wok-Fried with Curry Powder, Mildly-Spicy Curry Gravy & Baguettes. This is inspired by a favoured dish of the hotel's late owner Mr Khoo Teck Puat. 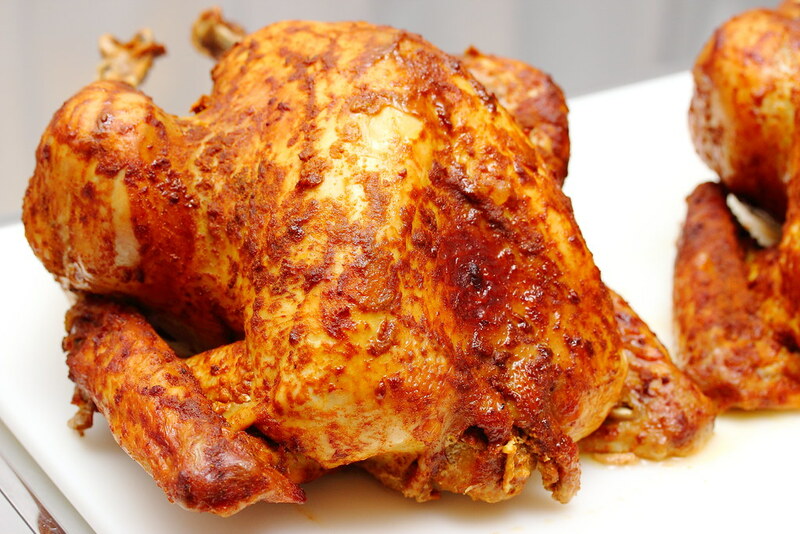 This is an interesting and delicious take of a taste of heritage with an Asian style turkey. It will be available for takeaway from the Deli at $218. 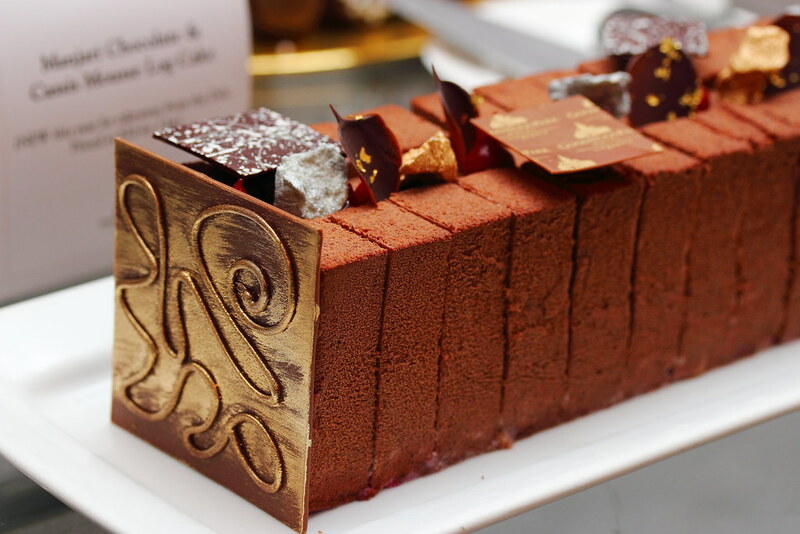 Besides the various savoury offering from Goodwood Park Hotel's F&B establishments, an array of dessert for the sweet tooth is available for takeway at the Deli too. 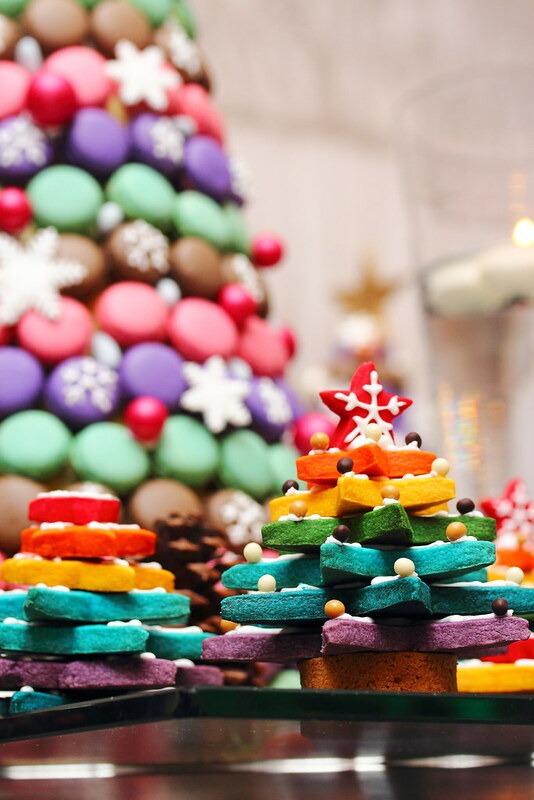 Some of the magnificient creation this year and all time favourite are DIY Christmas Rainbow Tree ($32 per set), Manjari Chocolate & Cassie Mousse Log Cake ($76 for 1 kg), D24 Durian Christmas Log Cake ($69 for 1 kg), D24 Durian Snowman ( $38 per pair), Caramel Chocolate Tart ($36 for 500g), Salted Caramel Nuts Cake ($42 for 500g) and Joy in a Jar ($30 for 3 jars, $48 for 5 jars). 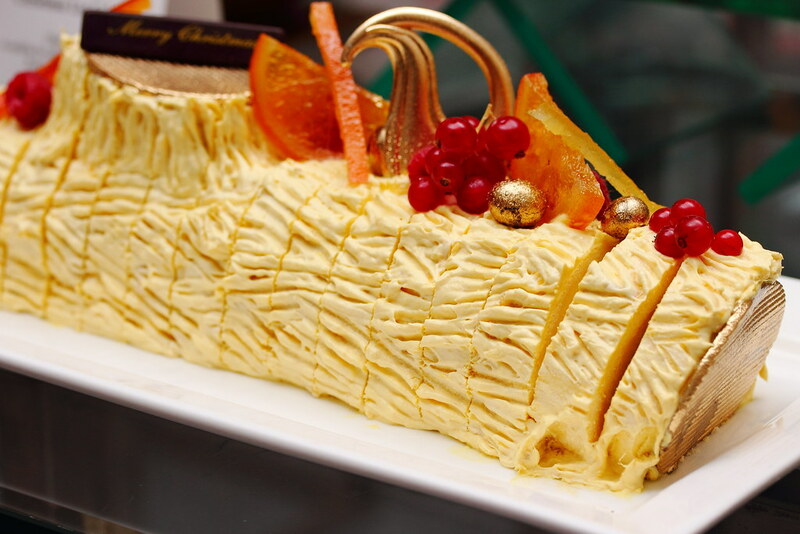 Goodwood Park Singapore has been popular for the durian creations and it is not surprise that my favourite desserts are the D24 Christmas Log Cake and D24 Durian Snowman. If your guests are durian lovers, the creamy D24 goodness will definitely impressed your guests. 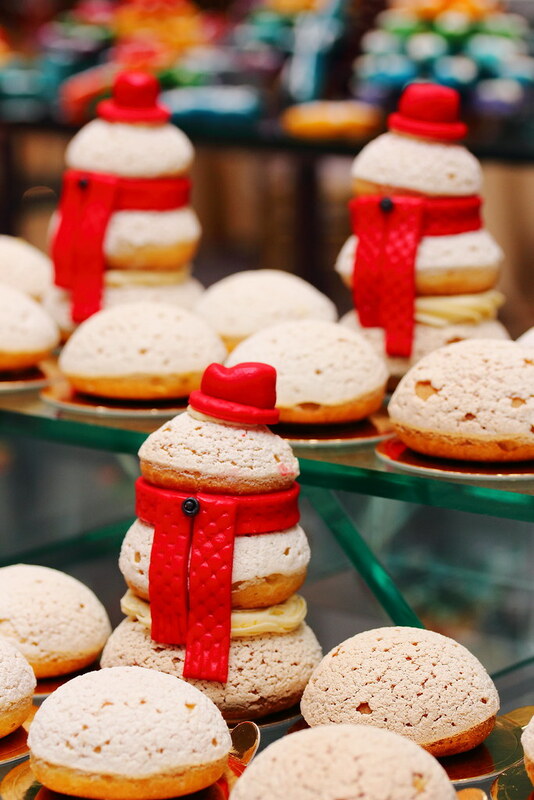 For more details of Goodwood Park Singapore's Christmas and New Year promotion. Click here.